Peppermint hot chocolate from Seattle’s Best Coffee. I love the holiday season for these drinks. If only we had special holiday drinks in Australia. 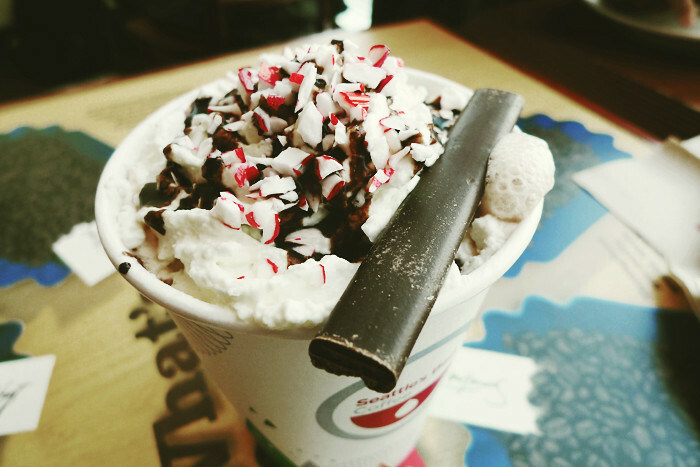 That candy cane + cream + chocolate combination looks so scrumptious. Ugh!